UltraShield Windows by Alure Home Improvements are made to suit any home’s style. 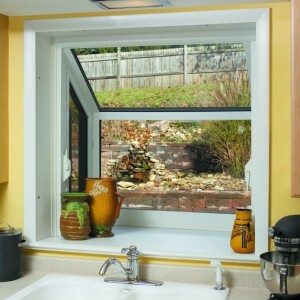 UltraShield Garden windows are unique windows that extend beyond the normal window opening. It’s a great space and place for plants and flowers”” or you name it! Not only is this space functional, but it offers a unique look and feel. Our Garden window is made of four pieces of energy-efficient glass allowing for a lot of light, like a mini-greenhouse for the area, usually a kitchen. 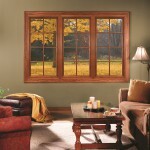 Operable Casement windows on each side allow air to circulate as well. 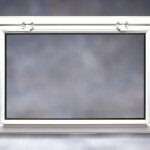 Our UltraShield Projected Frame window possibilities abound for adding classic appeal with a designer’s flair. It’s a dimensional window with room for books and more, as you extend your viewing area. 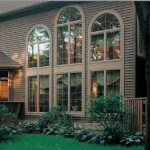 Because it’s custom built, it can be manufactured with any type of window, glass design and color combination. UltraShield Geometric Shaped windows let you complete the distinction to your home’s exterior view, while allowing you to capture more of the world around you. Our Geometric Shaped windows aren’t just beautiful in the eye of the beholder; they’re beautifully energy-efficient as well. From the simple to the sublime, you can select both shape and size to create your own home’s personality and points of interest, while enhancing a special space with sunlight. Available Shapes: Full circle , Octagon, Circle top, Trapezoid, Circle top with extended legs, Pentagon, Quarter round, Eyebrow, Triangle, Eyebrow with extended legs, and Architectural single hung. 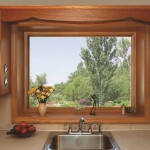 The UltraShield Picture window provides the perfect panorama for your favorite setting: your home. It’s your personal window on the world. In fact, you can almost think of our Picture window as a widescreen movie formatted to full screen for your viewing pleasure! Don’t overlook your basement! UltraShield Basement windows are designed for maximum light infiltration for the darkest space in your home. The dual-locking design ensures maximum peace of mind for safety and security. "Last year we had our windows replaced by them and were more than satisfied with their work and professionalism."